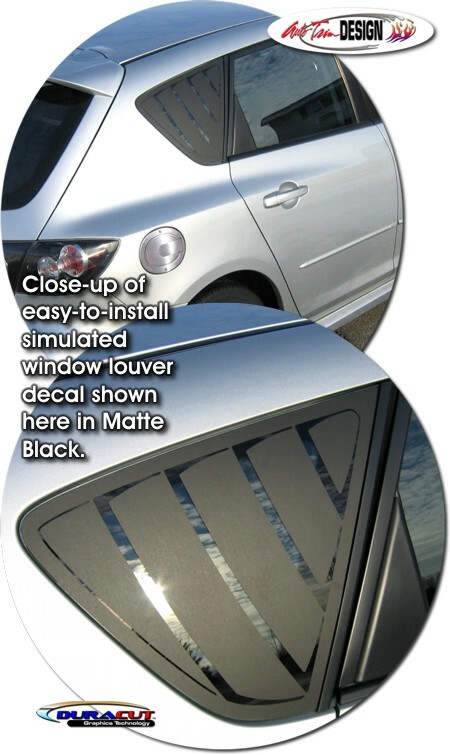 Trick out your '04-Current Mazda3 5-Door with this simulated easy-to-install Window Louver decal kit. These decals are precut, apply directly to the 5-Door's rear side glass window panels and are available in a wide variety of colors. Two (2) piece kit (one  for each side) is made specifically for the '04-Current Mazda3 5-Door and will not fit any other vehicle.